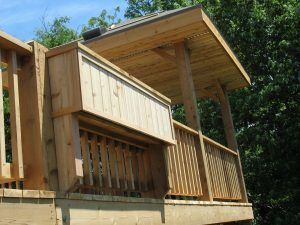 This is a Red Cedar Deck in Omaha With a Very Nice Partial Deck Cover with Tonque & Groove Cedar Car Siding on the Ceiling and Cedar Fascia Boards. 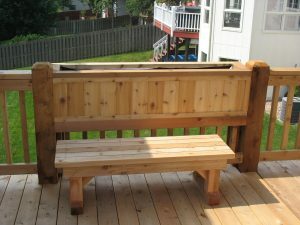 This Cedar Deck has a Built in Flower Box with Cedar Car Siding on the Exterior to Match the Ceiling on the Deck Cover. 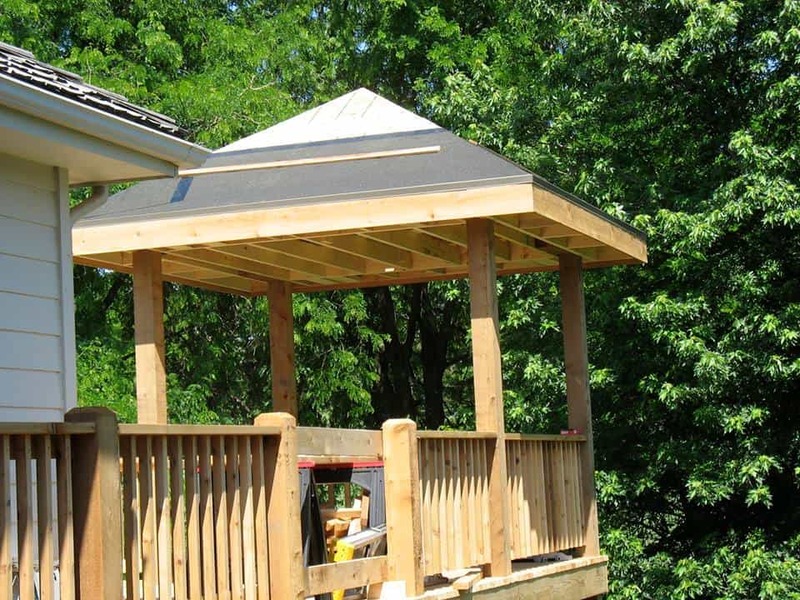 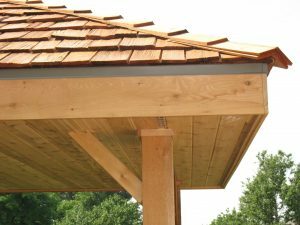 We Used Red Cedar Wood Shingles to make the Deck Cover Roof Look like it belongs with the Cedar Deck.